If you laid your eyes once on a classified advertisement for properties for sale in Bahrain either on an online web page or even in newspapers, consider it, give it a thought, it’s not a bad bargain anyway. Just put into consideration certain points to think about before taking this decision. Let’s just start with demonstrating the current situation of real estate market in Bahrain. 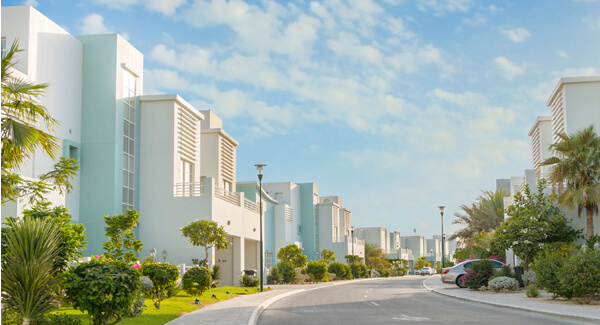 Buying a property in Bahrain nowadays is way easier than before especially after the Bahraini government made it accessible for foreigners to freehold in Bahrain in 1999. The growth rate in Bahrain and the degree of confidence in its bright future urged many Khaliji and foreign investors to get involved in such an experience which resulted in the rise of real estate deals value in the Kingdom reaching 1.2 billion BHD last year. The market growth pushed the government to set a regulatory frame managing the market by issuing some new laws like the real estate development law, and rents law. Purchasing an apartment is a hundred-per-cent efficient investment process which is an enough cause in itself. A property could pour in a fixed amount of cash regularly by renting it, or act only as a mean for real estate speculation. Clients’ needs are variable; some need residence, others aim to exploit the property in a business project like shopping outlet, while some investors could tend to use the property as premises for business administration. It’s better to set your cause before purchasing the property to pick the right one fitting your needs as residential properties aren’t suitable for administrative or business activities and vice versa. Also the process of converting a property nature from residential to business or office could expose you to legal questioning in many countries. Bahrainis have the right to freehold properties wherever they want in Bahrain. 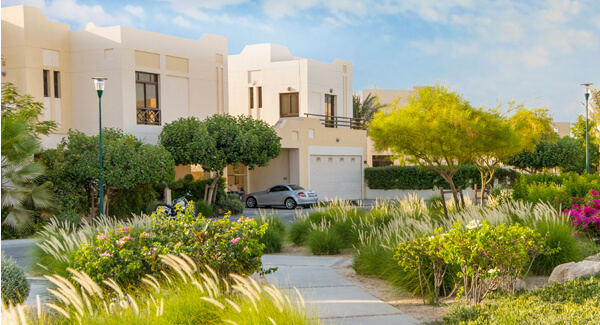 The government also made it accessible for GCC citizens and foreigners to purchases properties of any sort in order to bolster real estate market performance. The Bahraini government earmarked in 1999 certain locations in Bahrain for foreign freehold which are: Juffair, Seef, Reef Island, Durrat Al Bahrain, and Amwaj Islands. The property’s price is of the main variables defining the location. Bahrain is known for its reasonable properties when compared with many other areas in the region. Properties’ prices vary from one place to another in Bahrain. Highest prices are found in new touristic resorts and reclaimed islands offering top-end and unique lifestyle which differs from other Bahraini neighborhoods. Properties’ prices are bit higher in Amwaj Islands and Durrat Al Bahrain compared with other places. They are high also in Seef area where many international enterprises premises and big shopping malls are located. Prices are relatively more to moderate in many other areas like Muharreq, Juffair and Busaiteen. The property category is substantial component in the process of purchasing a property in Bahrain which defines its location. 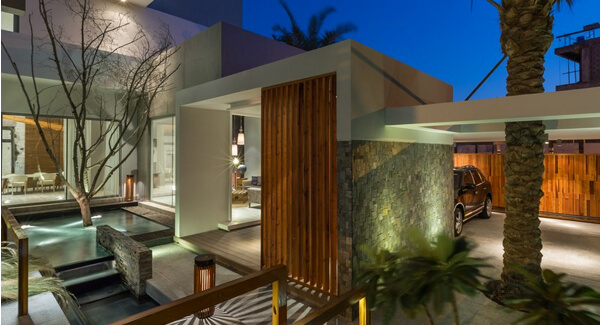 Bahrain has a wide spectrum of properties satisfying all levels of clients. You can find luxurious villas overlooking the sea view in a resort like Amwaj, duplex in a pivotal location in the center of the city like Juffair, fancy apartment in a high tower overlooking the sea or the city in a lofty area like Seef, besides reasonable average apartments for sale suitable for happy living located in many areas around the Kingdom. Major real estate development firms put into consideration satisfying the biggest portion of customers while developing their own projects. That’s why they tend to establish mixed-use compounds with properties of various categories. The government also works on filling the market needs for average residential units by launching new residential schemes, and supporting new cities construction projects like Hammad City and the Northern City. Broker can make everything easier for you, it’s better to hire a professional broker to get the best set of options. Broker is usually updated with the latest market feeds, he is able to offer a suitable property that fits all your needs starting from the cause, the location, in addition to the space and all tiny details. He will grand you also needed support and consultation for further operations if you’d like to rent or sell your property. All payment methods are available either direct full payment in case you are able to cash in the whole property’s value, installment purchase on long periods, or through real estate finance methods. Many companies and banks provide real estate finance services to Bahrainis and non-Bahrainis as well. Finance could reach 80% of the property real value, repayment methods are facilitated and take place on long periods reaching 25 years and with limited pre-determined interest rates. The final step after payment which priors moving and exploiting your new property is registration. It’s a significant step to prove your ownership of the property and maintain your legal rights. First, you should notarize the sales agreement in the court, it’s a simple test won’t take much time or money as notarization fees is about 15 BHD. Then there’s the final step which is registering the property in the Lands and Survery Bureau. Registration process needs some simple papers like personality identifications, the notarized sales agreement, and the title deeds. 10% of the registration fees is cut if the property registration took place within 60 days. So after taking the registration step we can say you own a property in Bahrain, simple task isn’t it? Don’t want to give it a second thought?